Or have us contact you. Fill out the form and one of our business development consultants will contact you within one business day. How many employees do you pay? Through Fortune-500 level benefits, payroll and HR services, we eliminate the complexities of growing your business.Learn how we do it. Today’s best business leaders achieve great results through integrating six powerful skills within their daily lives. 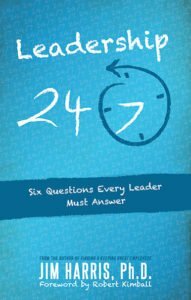 In this fast-moving, no-fluff book, Dr. Jim Harris (Director of Payday’s 24/7 Institute), teaches you a simple process that takes your leadership to a higher level of impact. As a full-service HR outsourcing platform, Payday exists to minimize the complexities of growing your business. We’re committed to high-performance client care through living our core convictions of integrity, service and impact. Learn more about us. Copyright © 2016 Payday HR Solutions. All Rights Reserved.